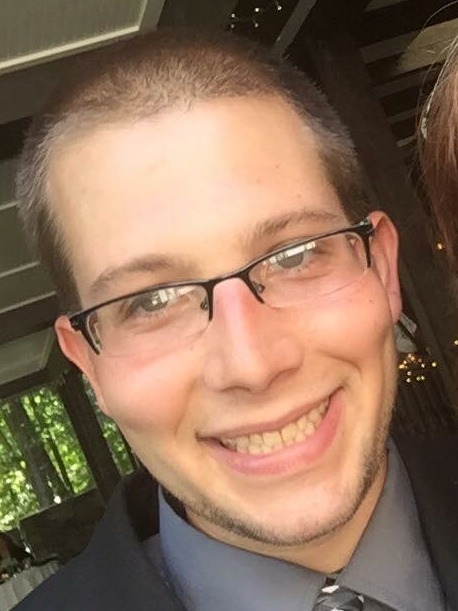 Michael Angelo Wannett, Jr., age 28 of Mentor died suddenly October 3, 2017 at his home. He was the boyfriend of Tiffany Gibson; father of Brianna and Baylee Gibson; son of Michael Angelo and Kellie; grandson of Paul and Cheryl Hale; brother of Danielle (Will) Liptak and Amber Marjanovic; nephew of Sheri (Mike) Leimbach, Melanie Hale and Tom Scull; cousin of Shawn and Donny Wannett. He is preceded in death by his brother Andrew Hale and his grandmother Joann Bailey. Celebration of life service 1-5 PM Sunday, October 15, 2017 at Mentor Community Center Woods room 8600 Munson Rd. Mentor, Ohio. I will be there even though we were not close.. We did keep in touch throughout the years.. Childhood friend.. Amazing person.. So sad to see that he is gone.. Gone far too soon..! Rest in heaven Mikey…!!!! I am so sorry for your lost. I have no words to console your family. My heart goes out to Tiffany and the children. I will keep you in my thoughts and prayers. God bless you and hold you close to his heart during this time. My daughter Amanda and Mike were friends in school. He was a good kid, he called me Mom. I am so sorry for your loss. I can’t imagine your heartbreak. Wish I could be there, you are going to be so missed by so many people, and I have so much love for you and your family and this situation is just insane. Prayers for everyone!!!! We would have been there but I just saw this I am sorry Mike. My heart breaks to think of Michael’s life being cut tragically short. I remember him from Lake Elementary School as a dear little boy. I am so sorry this has happened. My thoughts and prayers are with your family at this heart-breaking time. I pray for God’s peace, comfort and understanding for all of you and that you be surrounded with family and friends as you go through this tragedy. I am so sorry for your loss.